Utorda, P.O. Majorda, Goa-403 713. 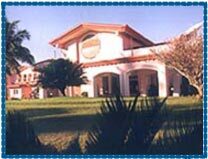 Hotel Kenilworth Beach Resort is lcoated close to the main shopping center of Goa. 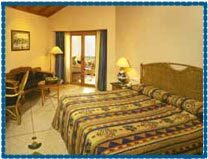 Kenilworth Beach Resort Goa is a hospitable hotel that offer true Goan style of architicture. Known to provide a experience of a lifetime the hotel offers its guest vast landscaped gardens and the pool that can be compared to a olympic sized pool the hotel also offer a bar that is located right beside the pool. Excellent hospitality that is offered by the hotel is one to be proud of. All rooms sea facing with enclosed Balconies, Tea/Coffee Maker, Ironing Board on request, Hair dryer, Doctor on call, Safe deposit, Baby sitting, Valet, Travel Desk, Business Centre, Cyber Cafe, 24 hrs. Room service, Telephone, T.V., Channel music, Internet connection, Fan, Mini Bar, Laundry, Flowers, Money Exchange, Shopping arcade, Banquet & Conference facility, The finest outdoor Swimming Pool in Goa with Swim-up Bar and Jacuzzi, Tennis, Water sports on the beach, Gym, Sauna, Steam, Jacuzzi, Beauty Parlour and Ayurvedic Massage with separate ladies and gents massage rooms.